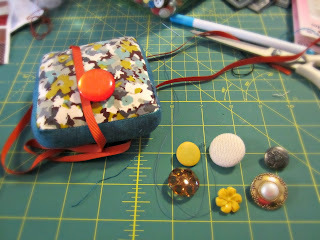 I have already confessed to being a buttonoholic! Something I am most proud of and delight in every moment I can. and I am not sure people will understand! am going to let you in on another little secret. 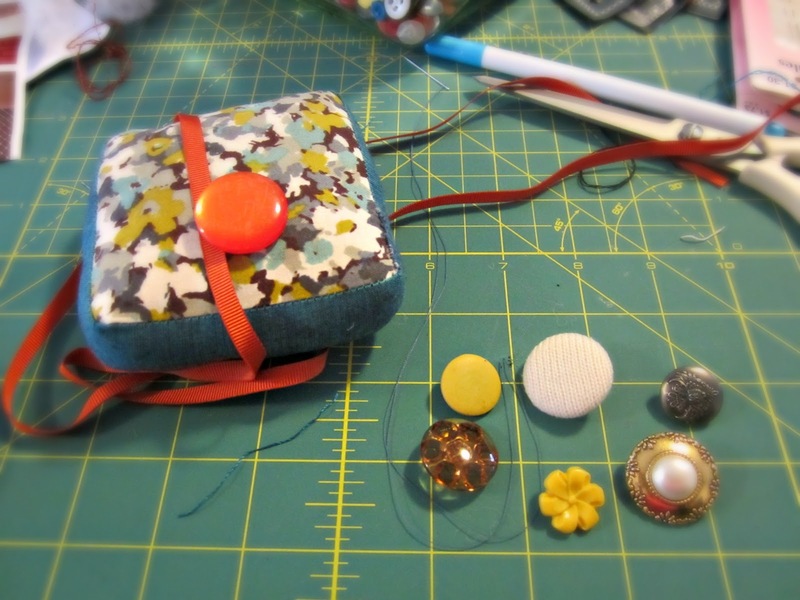 Even better, I can indulge in some button loving and sharing while making cute little pincushions. P.S. I also glued the beads on the pins as well, clever me! There, I have done it, bared my soul and the sky is still blue and the moon doth shine! Check these little beauties out. 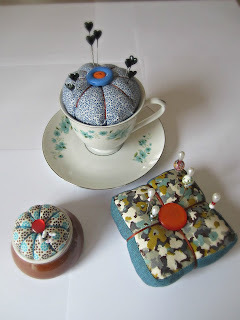 I couldnt resist that little egg cup there with the orange and blue trim on the base. The dear old lady behind the counter told me it was very special and was Delft pottery??? my dear friend google tends to know the answers, when I have a second I will check it out. 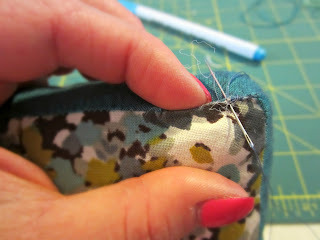 If you'd written this a few weeks ago, I would have pointed you in the direction of the pin cushion swap that's going on at the moment! Ohh that egg cup is my fav. 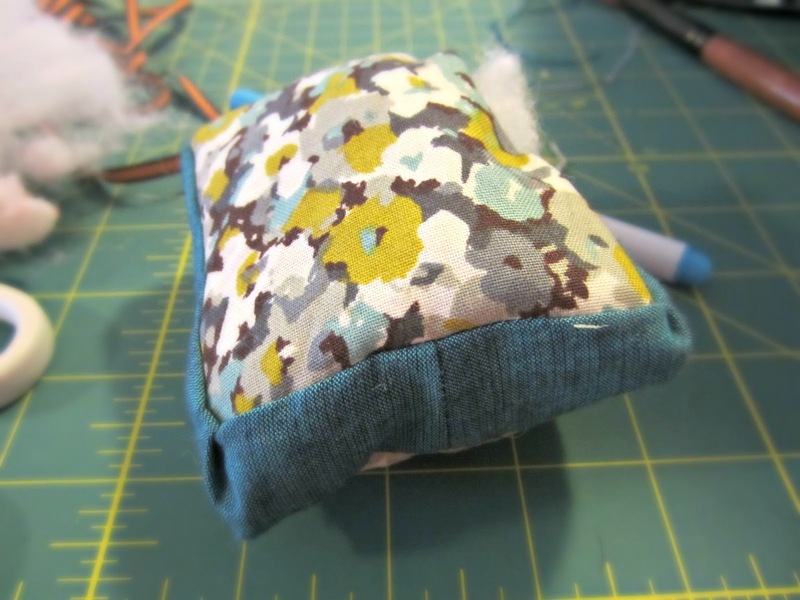 Your pincushions look great. Well done. 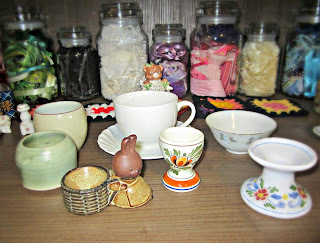 I too love them and make them to sell in my little online shops. Yours look fantastic! Well done. Just popped over from Jody's place, I'm one of the other Op Swappers.